Dimensions: m 3,2 x 3,2 x h 2. Once again a dramatic event has provided the theme for one of Maria Dompè’s installations. 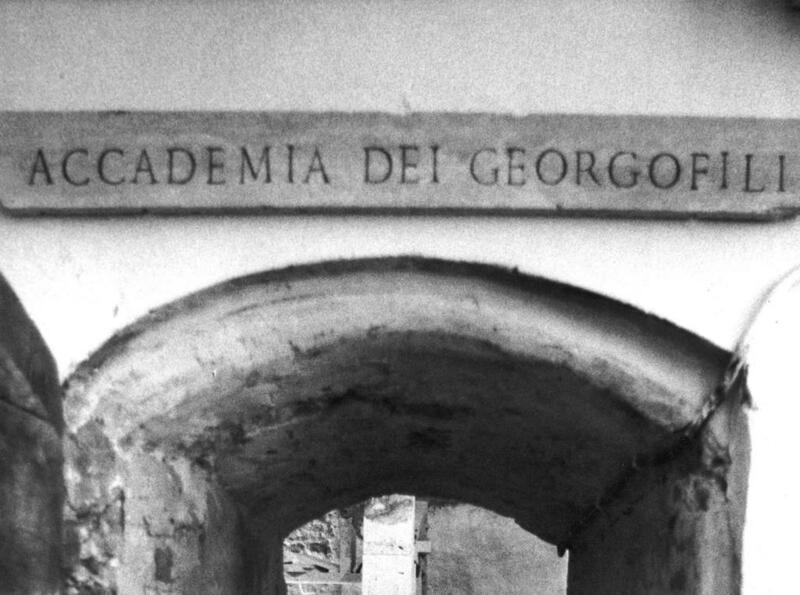 In this case the work refers explicitly to the bombing of the Accademia dei Georgofili in Florence in the summer of 1993. 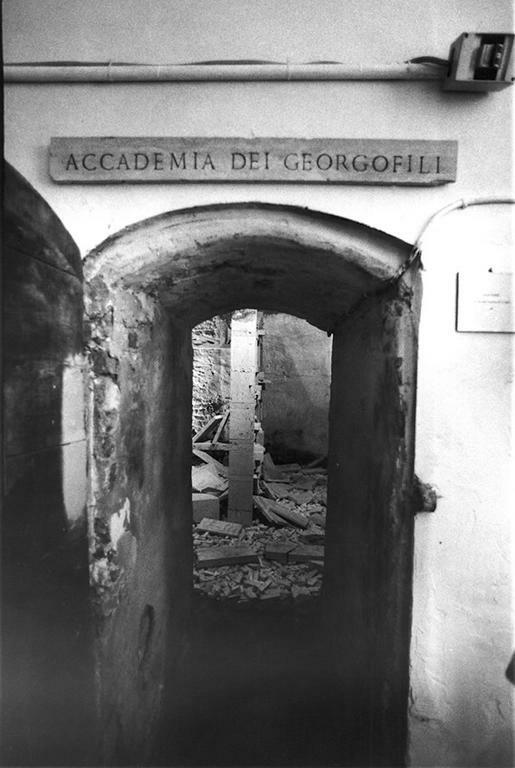 The building was destroyed, six people were killed and the Uffizi Gallery suffered great damage. 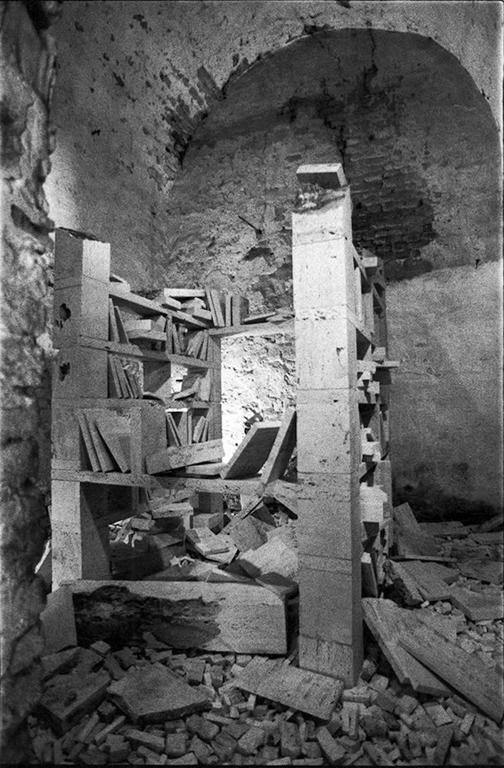 A travertine library, whose disorder invokes the destruction caused by the explosion, was built in the small space of the Torre Civica: walls and other structures reduced to fragments, books scattered throughout. In homage to the six innocent and unaware victims, Dompè has inscribed their names on stone tablets which represent the destroyed books. Aside from her spatial arrangement, the sculptor’s selection of stones with surfaces tormented and dug-out through natural processes reveals further the project’s character of civil participation. The work received special mention by the judges of the Premio Suzzara.